These words should be familiar to us by now, especially since multiple protests have occurred since the U.S. presidential election, and since UCCS SGA started their inclusive campus campaign, where students can sign a piece of paper and wear a small smiley-face button on their shirt or backpack to show solidarity. “Signing this pledge and displaying the accompanying smiley-face button sends a visible message to members of our community that we, as a unified body, embrace our differences,” according to the Inclusive Campus Pledge put forth by SGA in January. But the students who are supposed to represent our campus, current SGA members and future candidates, are failing to represent what our school is supposed to stand for and what they claim our students should stand for. Starting March 13, students were supposed to vote for SGA candidates – people who we believe to be the best fi t to represent the student body, the school and to be the leaders of our campus. On March 12, students received an email that the elections have been postponed indefinitely due to the “high volume of concerns,” which was sent on behalf of vice chancellor for Student Success, Sentwali Bakari. 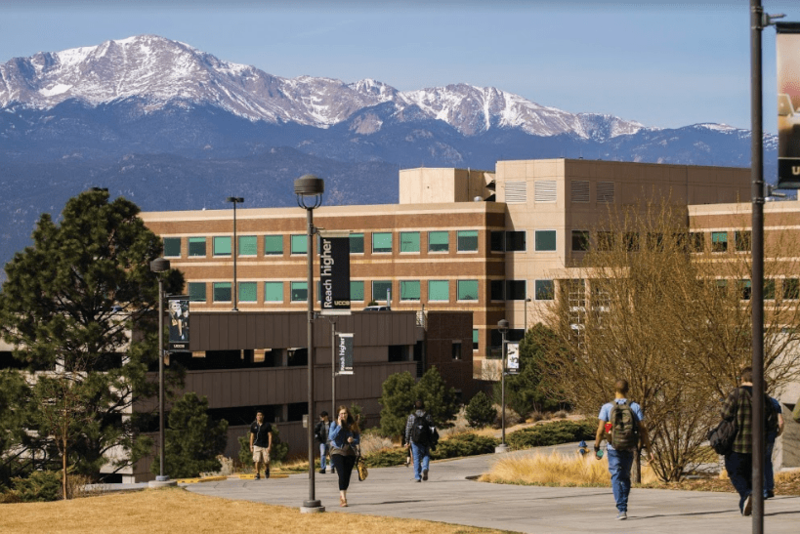 According to Sabrina Wienholtz, director of Student Clubs, Organizations and Leadership, SGA elections have not been postponed in the last decade that she has worked at UCCS. The student leaders of our school are not keeping themselves in check. What should matter to members or candidates of SGA is what matters to students, not what matters to them. SGA exists to facilitate funds, ideas and activities for clubs and organizations, but SGA cannot fully focus on the students when they’re too invested in personal advancement. If we’re only thinking about what’s going to benefit us as leaders, then we lose focus of the mission to support students. The students have not benefited from the current SGA election in any way, since all that is being put out to students, both on social media and on campus, are alleged rumors and accusations of candidates and current SGA members. At the March 8 SGA senate meeting, SGA members were questioning if it is OK to tell the truth about another person, even if it is hurtful . College students shouldn’t even be asking these kinds of questions. SGA, candidates and current members, are missing the bigger picture. For the rest of our lives, we will have to work with people we do not get along with, we will have to work with people we disagree with and with people who are different than us. But until students stop serving their own self-interest and start paying attention to important details that actually impact and affect students, how can we feel confident in voting for students to be part of an organization that has not led a good example for our school? If everyone in SGA who is caught up in the internal drama of the organization would critically think about how to handle challenges in a professional manner, SGA would have a better reputation, and ultimately then so will students and our campus as a whole. We need to think about how we represent ourselves. If we choose to give into petty drama and refuse to handle a situation with grace and maturity, then we reflect poorly on the university. Whether involved in the heat of the SGA elections or having no clue why the elections would be postponed, students may only be able to conclude that our current student government as a whole is not capable of holding a civilized, mature election. If we learned anything from the emotionally-driven 2016 presidential election, it should be that we were shown poor examples of how to act with respect toward those we disagree with.